Sometimes I think rusty things look the best! Well, that captures the theme perfectly, Michele! The rust makes it even more special. Funny, years ago we didn't like rust so much! What an appealing shadow shot - I really like it! This is such a beautiful plaque for the garden! Thanks so much for sharing your heart today! Pretty photo! The shadows are great. Both the plaque and your poem are welcoming! Nice photo and a perfect shadow shot. 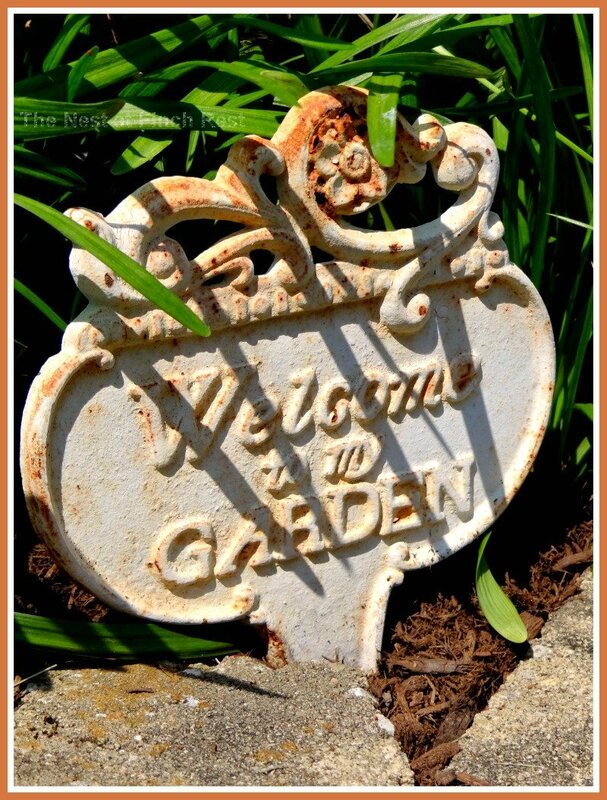 Gorgeous little garden plaque with some sharp shadows!